EV Grieve: There is a now a mural of LES Jewels in Venice Beach, Calif. 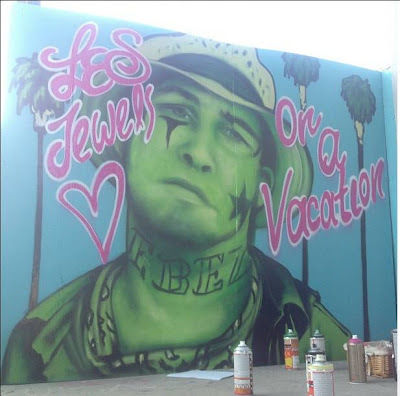 There is a now a mural of LES Jewels in Venice Beach, Calif.
Jules Muck, a longtime friend of the late LES Jewels, created this mural on Main Street in Venice Beach, Calif., this week. "I could tell stories bout him for days," she said via Facebook. Photos via Facebook courtesy of Jules Muck. The top one is really good. 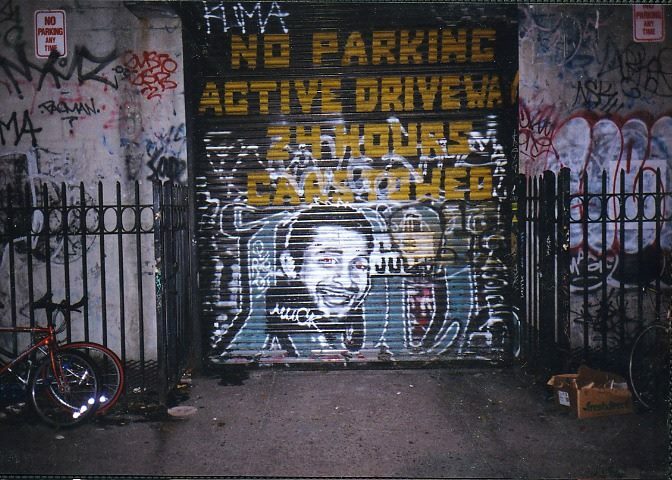 He should have done the mural of Joe Strummer. 7:21AM, except it doesn't really look like Jewels (too handsome and 'together') so no. The Joe Strummer mural doesn't look like Joe Strummer either. Between two non-likenesses, the Jewels one is better. Jules Muck is a "she" and she does amazing work.